I mentioned the rather faceless hotel I am staying in in my last post. This was arranged – as was the driver pick up at the airport – by the school I am working for. They have paid for all the new teachers to stay here for two weeks while we look for apartments of our own, which is pretty cool. I thought this would mean I could relax for the first week or so but in our induction sessions on Thursday and Friday it was impressed on us that we needed to look for apartments as soon as possible. I was still quite keen to relax but Michelle (another teacher who’ll be at the same location as me) wanted to look for flats today, and I thought it would be a good idea to join forces. Basically I thought I could piggy back on her, and see a few flats before I started my own search – in a nice relaxed fashion, of course. Let’s just say things did not go according to plan. We all went out last night, I left earlier than the others but still after the metro had closed so had a long walk before I found an available taxi. Michelle got home at 3am. However Michelle was still downstairs at 9.30am, the time we’d arranged to meet, whereas I was in bed and jumped out of the sheets like I’d been electrocuted at 9.32am. 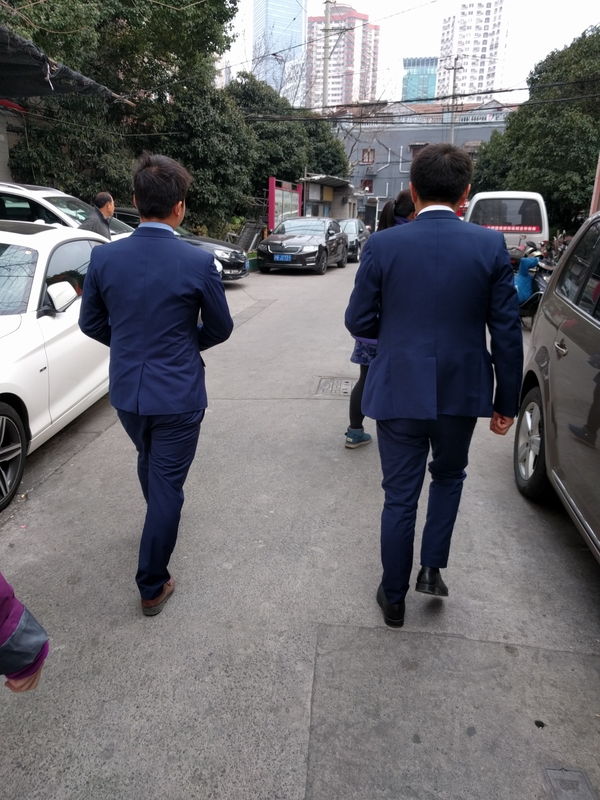 We took the metro to Changshu Road and met our agent, Jason. He had a patent briefcase/handbag and was entirely uninterested in small talk. Dingy dump with broken kitchen and decrepit bathroom. Made those “homes from hell” programmes look really luxurious. Marginally better but still bad. Jason knew he was taking the piss but this is part of the game. As scheduled, Jason showed us somewhere that wasn’t a total hellhole, a duplex apartment with a harried tenant and her grey cat (priorities….). It was nice inside but to get to the flat you had to climb some tunnel-like stairs with minimal headroom, and possibly a fake wall into someone else’s house. Jason had clearly never been to this flat as he tried the keys in the flat next door, to the bemusement of the tenant there, who came out to see if he was being burgled. The flat itself was big but had a shared kitchen and bathroom. Jason left us by the side of the road for a while and went to get the keys for two more flats. The first was a large-ish room with a bus-stop style bench near the doorway. To get to the kitchen you went into the communal corridor, up another flight and into the kitchen. The bathroom was off this kitchen, and was shared with another flat. Jason spent ages trying to get into the security gates to this apartment but had the wrong stairs. Once inside we found a flat with no kitchen, just a hob balanced on the stairs. The next place had more potential, although the bathroom was slightly smaller than the wardrobe in my hotel. It had a new kitchen, with a separate living space, though separated only by glass and you had to go through the bedroom to get to the living area and kitchen. 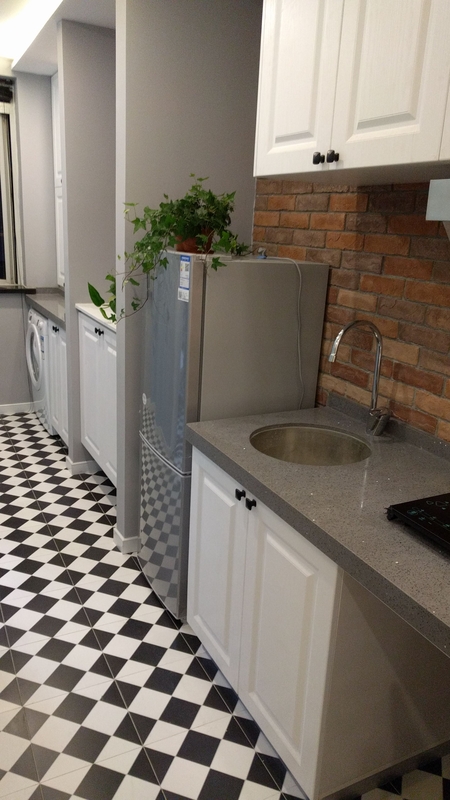 We saw a studio apartment, with a nice-ish bathroom and a functional but functioning kitchen. Michelle said the whole place was smaller than her bedroom. By this point, Jason, Michelle and I were all sick of looking at apartments. Michelle and I were really hungry and I think Jason was annoyed we hadn’t snapped up one of his flats. He promised to show us more apartments – like the last one but in better value areas – tomorrow. 9. A dated, tired flat with an astonishing amount of cupboards. 10. A tiny flat with water coming through the ceiling. I told the lads that we were tired and hungry and didn’t want to see any more flats today, and said we’d be in touch tomorrow. Michelle wasn’t feeling very well – I’d already bought some traditional Chinese medicine cough sweets at a pharmacy earlier in the day – so we went to another pharmacy where we bought western pharmaceuticals, and after sharing a pizza, we headed back to the hotel.I took it upon myself to carry on the flat hunt when I got back to the hotel, thinking I could line up some viewings for tomorrow. I was feeling a little spooked about how bad the flats were, and worried that it might actually take more than a day to get everything sorted. I messaged an agent who said I could come and see the place immediately… so I put my shoes and jacket back on, walked back to the metro and got back on the train. 11. The flat was clean, recently renovated (including electric toilet seat! ), nicely laid out, good vibe, cosy living area, bright bedroom, quiet complex, a few minutes walk from the metro… It wasn’t in the same area as the others, it was a bit further out, but a similar commute time to work, and it was less noisy and hectic than the other flats. As we walked back to the metro, I asked the agent what I would have to do to reserve it. He said I’d have to put down 2000 RMB so that the landlord wouldn’t show it to anyone else. Feeling reckless and giddy, I walked to the ATM while the agent called the landlord to tell him I’d take it. I texted Matt furiously. Should I do it, what did he think – very unfair questions for someone who has never seen the flat, or indeed any flats in China, or in fact China at all. We reconvened at the flat and bits of paper were signed. I did a little bit of negotiating and got 200 RMB per month knocked off the price. I’ve lost my magic touch! The landlord seemed nice though and not lecherous like one of the ones earlier in the day. As we left, the agent and the landlord asked my age. They said I looked very young, but when they found out that I’m the same age as the agent, the agent told me that Asian people usually look younger than their years but I look younger still. I go back tomorrow to sign the contract and pay the rest of the money, and then as of tomorrow, we have a flat of our very own! Congratulations & well done on the accommodation find.